Does your current POS system make running your business hard? Do you struggle to train your associates on your current POS system? Are you using a DOS based application? Is your current POS from the last century? Although simple, everything you need to run an efficient sales process is here for your company. In 1992 our development team introduced its first commercial application for small clubs and partners. That idea evolved four years later to disrupt an industry using pen and paper and DOS computers. After selling the company in 2006 hardware and software technology has finally caught up to our vision for great front counter software. Traditional Point of Sale systems are archaic and complex, relying on technology from last decade. 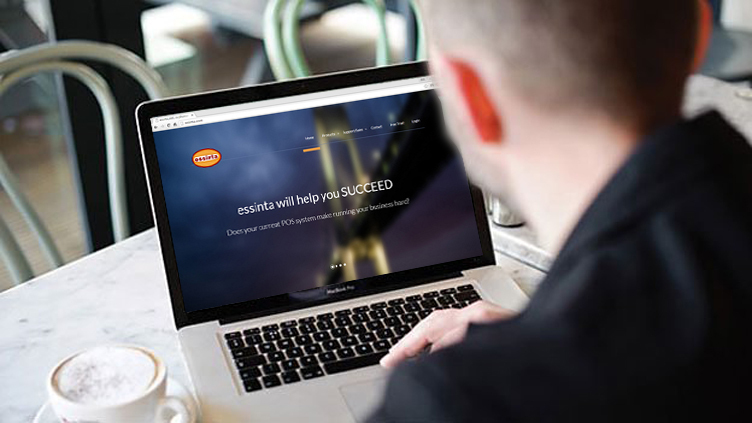 There is no complex installation process or hardware required to use essinta Point of Sale. Your customers want a painless, precise, and perfect experience. Your front counter team requires confidence. That confidence comes from our team's success and knowledge. Imagine implementing a store point of sale software system that is so intutive an employee can be using it with just minutes of training. Run your company from any type of device, any time, any place. Ready to go out of the box, integrate with your QuickBooks Accounting software. Worried about your data? Don't! We provide tools for you to download the data and make off-site copies so you always have your information no matter what.